In 2010, bassist Gray was planning to tour with the supergroup, Hail!. However, on May 24, 2010, he was found dead in a hotel room in Urbandale, Iowa. Circumstances surrounding his death at the time were not immediately known, an autopsy suspected that his death was not caused by intention of anyone, but still did not reveal the cause of it. The day after his death, the remaining eight members of the band held a live press conference alongside Gray's widow and brother, expressing their feelings about the incident. On June 21, the cause of death was confirmed as an accidental overdose on morphine and fentanyl, the latter being a synthetic morphine substitute. The band was hesitant to comment on the future of Slipknot. The members made conflicting statements in interviews regarding the situation; drummer Jordison told The Pulse of Radio "there is another Slipknot record already kinda in the making". Vocalist Taylor revealed to FMQB Productions' that he is "very conflicted about whether or not [he wants] to do anything with Slipknot". The band released their fourth video album (sic)nesses on September 28, where it debuted at No.1 on the Billboard Top Music Video Charts. 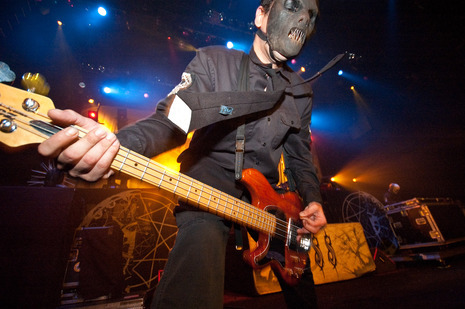 The DVD features Slipknot's complete live performance at the 2009 Download Festival and a 45 minute film documenting their tour in support of All Hope Is Gone, and serves as a tribute to Paul Gray.